The Black Friday deals continue apace, with high street retailer and renown Christmas advert creator John Lewis slashing the price of the Now TV Smart Box. The all-new set-top box, which first launched back in September, boasts a number of upgrades over its predecessor, including the ability to stream 4K HDR content. Not even Sky's flagship Sky Q satellite box can manage that, following a decision to push back the software update to add the functionality until 2019. The Now TV Smart Box includes the ability to search through the catalogue of on-demand shows and movies using only your voice. Viewers can search by asking for a show, movie, actor or director. Smart Box is compatible with a host of different on-demand and streaming services, including BBC iPlayer, All 4, Netflix, YouTube, UKTV Play, and ITV Hub, to name a few. Since this is Now TV, you'll also get access to a swathe of Sky TV's premium channels, including Sky Sports, Sky Cinema, Sky One HD and Sky Atlantic via the various Passes available to purchase on a weekly or monthly basis. Now TV Smart Box is the hardware upgrade we were all waiting for. The new set-top box lets you enjoy Netflix in Ultra HD, as well as catchup services like BBC iPlayer, All 4, ITV player and so on, in HD. Better still, the half price Now TV Smart Box includes a month trial of Sky Cinema, Kids Pass, and Entertainment Pass. There's also 24 hours access to Sky Sports, which should be enough to catch all the Boxing Day action this year. John Lewis has dropped the price of the Now TV Smart Box to £24.99 – that's 50% off the usual RRP. And since it's sold by John Lewis, the hardware comes with their trademark 2 year guarantee. 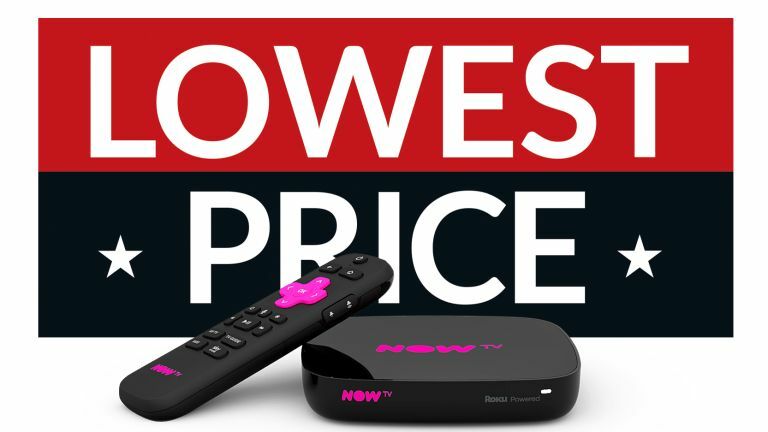 If you've been in the market for a new Now TV box, there's never been a better time to take the plunge as we can't imagine they'll be a better discount this Black Friday. Powerful new components, updated UI and a new Sky Sports Month pass promised to boost the impressive streaming package.